Welcome to TSN Front Row! This site is designed to tell the story of TSN, giving our fans a Front Row seat to everything we do. 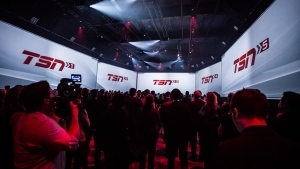 TSN Front Row aims to pull back the curtain, showcasing what life is like at TSN, taking fans behind-the-scenes at the network, and illuminating how we bring sports fans thousands of hours of live sports programming every year. 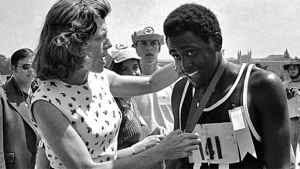 Special Olympics Celebrates 50 Years! TORONTO (May 18, 2017) – KENTUCKY DERBY winner Always Dreaming is set for his next test as TSN heads to Pimlico Race Course in Baltimore to deliver exclusive coverage of the 2017 PREAKNESS STAKES. TSN’s live coverage from Pimlico Race Course begins tomorrow, May 19 at 3 p.m. ET on TSN1 and TSN3 with the 2017 BLACK-EYED SUSAN STAKES, the race for the top three-year old fillies, and culminates with the 142nd running of the PREAKNESS STAKES this Saturday, May 20 at 5 p.m. ET on TSN3 and TSN5 (a complete schedule for TSN’s 2017 horse racing coverage is available online at TSN.ca). The 2017 PREAKNESS STAKES is headlined by three-year-old thoroughbred Always Dreaming, who claimed the first leg of the Triple Crown in front of a packed grandstand of more than 150,000 spectators at Churchill Downs earlier this month. Always Dreaming competes against a strong field featuring KENTUCKY DERBY runner-up Lookin At Lee, contenders Classic Empire and Gunnevera, and newcomer Conquest Mo Money. The last American Triple Crown title was won by American Pharaoh in 2015, ending a 37-year title draught. TSN’s PREAKNESS STAKES coverage is available for live streaming and on-demand viewing to TSN subscribers via TSN.ca/Live and the TSN GO mobile app. 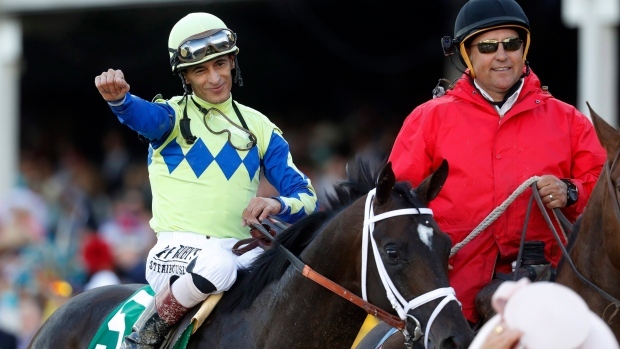 Following the PREAKNESS STAKES, TSN heads to Belmont Park in Elmont, New York, to deliver the final stop in the American Triple Crown, the 149th running of the BELMONT STAKES on June 10.